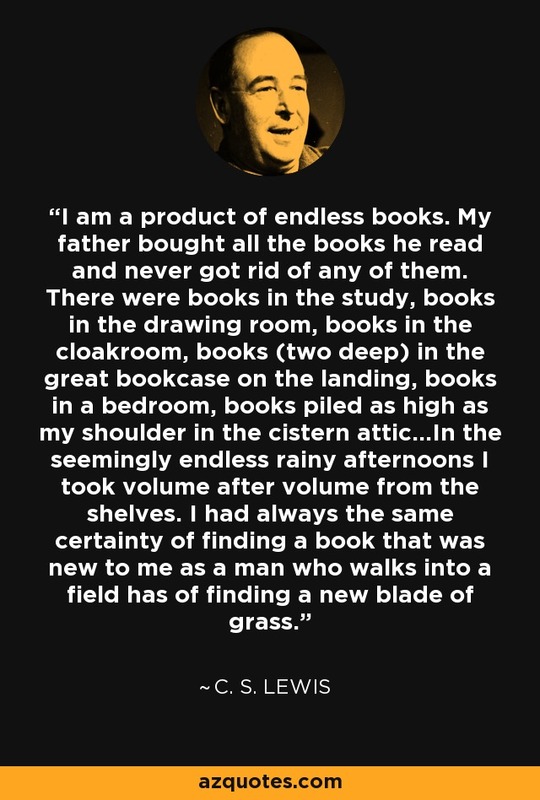 I am a product of endless books. My father bought all the books he read and never got rid of any of them. There were books in the study, books in the drawing room, books in the cloakroom, books (two deep) in the great bookcase on the landing, books in a bedroom, books piled as high as my shoulder in the cistern attic...In the seemingly endless rainy afternoons I took volume after volume from the shelves. I had always the same certainty of finding a book that was new to me as a man who walks into a field has of finding a new blade of grass.